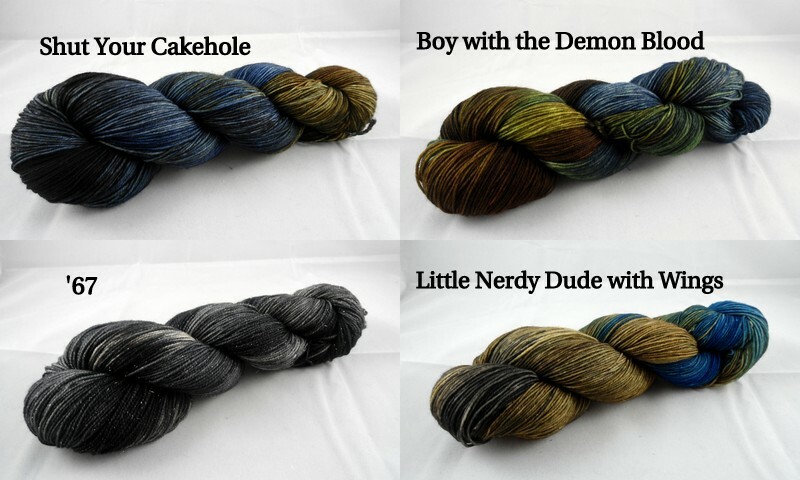 On Sunday night at 7PM CDT more than 20 repeatable brand new shiny colorways will become available and some of them are already up for preview. All those hours of tablet streaming Supernatural marathons while I run around dyeing up orders really energized my creative process. I’ve had a few dye benders of late. Dye benders are the result of having ideas all click into place of exactly how recreate an inspiration after 11pm when I should be winding down for sleep. 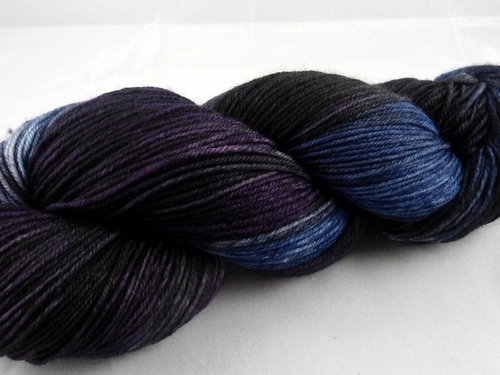 It’s not always this easy – some colorways refuse to come no matter how much I threaten them. While I would love to dye all the things everyone could ever want, I have to feel it and know it to make it. I’ve got to connect with a character or inspiration to properly create them on fiber and I have to make them mine. 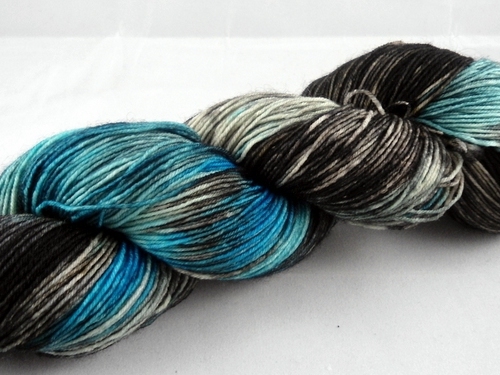 There are some obvious ways to dye a few of the most popular fandoms but I want them to be mine, I want them to be unique and different than perhaps another dyer’s take on them and I want to be able to look at that skein of yarn like it’s still my favorite familiar character from the movie/series/story. Sometimes that means the colorway is a little more indepth than the popularized image of the character but that is what I love about it the most. Perfect Time for a Swear Word is a good example of this. 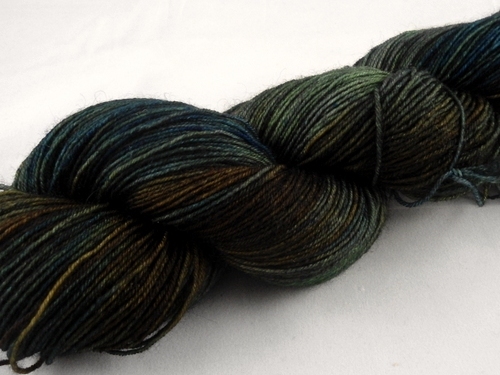 This colorway was inspired by Kaylee and was posted during the Firefly update. Popular images of Kaylee are her parasol or her shindig dress but my favorite part of her is as a feminized mechanic that whispers sweet nothings to her gears and cogs. I wanted to capture her in her oriental printed tops and her cargo pocket pants. 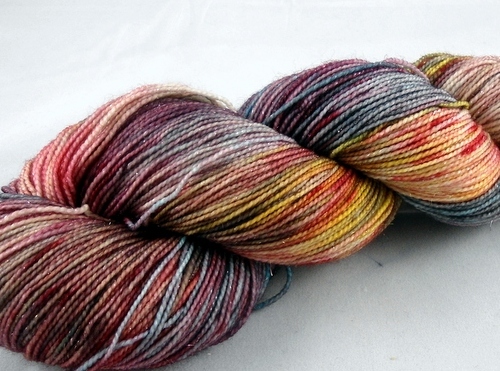 I love this colorway, it’s my Kaylee. I love it so much it became a fitted top on Saucy. For this update, the Ninth Doctor finally cooperated with me and I can look at it and feel like I know him. He’s got color, but he’s dark & he’s tortured. Mad Eye Moody reminds me of constant vigilance and I think he might need to become a shawlette for fall. Come see the softer side of Zombieland’s Tallahassee, rather than pick his most obvious weapons or vehicles I see his sensible v-neck, his practical denim and all important leather. Who wouldn’t want to cuddle the man who had lost everything. I love this guy and I love his yarn. My favorite scene in the entire movie is the zombie princesses from the birthday party with the McMansions. It never ceases to amuse me and the colorway, Stop Driving Carpool, just makes me happy. And finally, some results from the Supernatural marathons, Dean is my favorite, Castiel a close second and who doesn’t want to hug emo Sam even when he is being a prat? I’m still looking for an old Impala to teach the kids how to rebuild out in the carport. Colorway background and previews to be continued, right now I am taking a break for knitting group to start working with some of these new colorways. ← New Colorways August 27th!